With putting counting for more than 40% of your score, and the putter being used more times than any other club in the bag, it is very important to choose a putter that is right for you. But with so many putters on the market, and with different variables to be taken into account (including the speed of the greens at your home course, your own personal stroke, etc), just how should you go about choosing a putter to ensure that it is a good match? First of all, when you are looking for a putter, you need to assess the speed of the greens of the course you regularly play at. 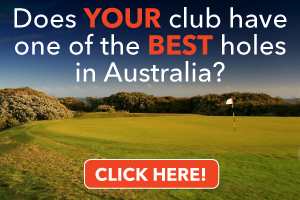 If the greens you play on are fast and the grass is short, a light putter may suit you best. Conversely if your greens are slow or the grass is long, a heavier type of putter would be your cup of tea. Next, you should determine the type of stroke you play. Do you have an arcing stroke (where the putterhead moves in an inside-to-square-to-inside motion), or do you have more of a pendulum stroke (where the putterface stays square to target throughout)? Finally, you need to think about the length of shaft. Are you more suited to a standard length, or would a belly/broomstick putter be better for your game? Let’s look at a couple of putter styles, and show how they can affect your game. Do you know the difference between, say, an Odyssey 2-Ball mallet putter versus an Odyssey 2-Ball blade putter? Firstly, the 2-Ball mallet is face balanced. So when you balance the putter shaft on your finger, the putterface actually faces the sky. This promotes a straight back-straight through motion (i.e. a pendulum stroke). The lined putter option also assists your aiming. 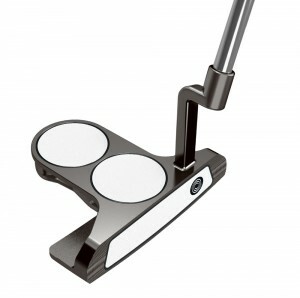 An Odyssey 2-Ball blade putter, on the other hand, features toe weighting. In this case, when you balance the shaft on your finger, the toe is closer to the ground than the heel. It suits the inside-to square-to inside putting motion. Many instructors (myself included) believe that the putter needs to work in an arc as the shaft is not vertical to the playing surface. This would suit a putter with a hands-and-arm stroke. 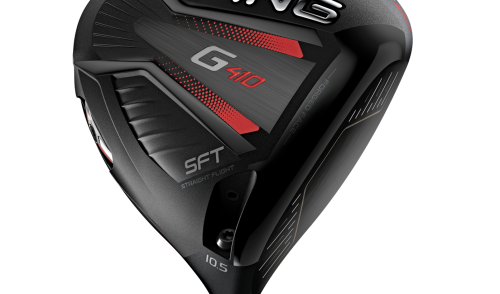 With an offset shaft, the 2-Ball blade allows you to keep your hands ahead for better acceleration and better contact. Ben Crenshaw, probably the best putter of all time, has an inside-to square-to inside putting stroke. He uses a lightweight blade, toe-weighted putter (the toe of his putter actually faces the ground when balanced on the finger) as he is always putting on fast greens. Phil Mickelson won the 2010 US Masters using a toe-weighted putter. Phil has used a putter 31.5 inches long (3.5 inches under standard length) while many regular tour players use putters at 33 inches (2 inches shorter than standard). The characteristics of both of these putters are different in regards to their sweet spot. The 2-Ball mallet is larger in diameter and has a high Moment Of Inertia (MOI) and actual size volume compared to the 2-Ball blade; the 2-Ball Mallet has a larger sweet spot which is better for off-centre hits and will help you get the ball to the hole more often. A putter with a low MOI (i.e. smaller head and small in distance between the face and the back of the putter – like Ben Crenshaw’s putter) can be harder to find the sweet spot for some players. It is smaller and conversely may make it harder for you to get the ball to the hole. 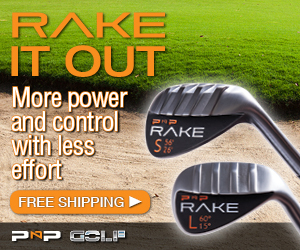 But many players with an arcing stroke tend to prefer a blade. In any case, if your putter does not match your type of putting stroke, you will liklely miss more putts than you make. 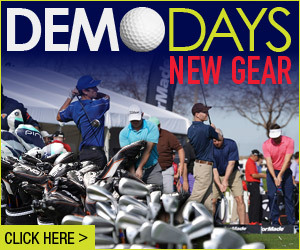 How do you know if a broomstick, belly, chest or standard putter is the best option for you? The length of a standard putter is 35 inches. Interestingly, this length was devised for marketing purposes only, as it was easier for a consumer to see and grab a putter from a golf bag when on display in the pro shop. A Broomstick putter is 45 inches, whereas a belly putter or chest putter is generally 41 to 43 inches. When choosing a putter, you want the putter head to sit flat on the ground at address when you are in posture and in a relaxed position in set up. 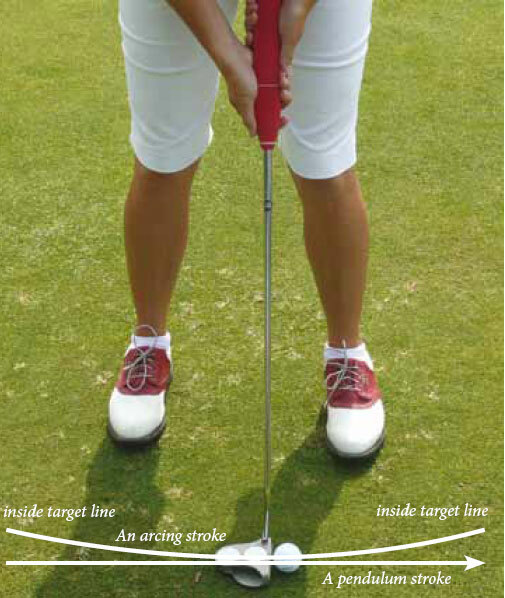 But don’t manipulate your wrist angle at set up to get the putter face flat on the ground. You want to maintain a relaxed set up position. Note: If you were to buy a standard length putter and have it cut to make it shorter, you will lose the mass weight, and the putter will be thrown out of balance (similar to a car tyre wheel alignment). Loft accounts for 90% of distance control on all putts, with 10% accounting for direction control. 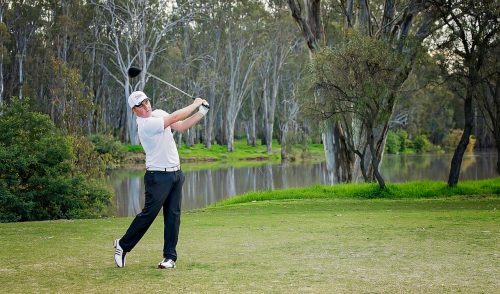 Distance control is the most important factor when putting. It is much easier to putt well with your hands ahead of the ball at impact, which also produces a better strike. Having a milled-face putter can increase the amount of loft on the putter. When you use a putter with no loft you are instinctively going to set your hands behind the ball at address which makes it very difficult to putt consistently. This is a common problem that I see with my students. It’s important to get the loft right for your putting stroke, so it’s best to see your local PGA Pro to determine which loft is best for you. I use TOMI Professional Software www.tomi.com to fit putters to my students. It is the only personalized putting training device that captures the critical parameters of your putting stroke in real-time (i.e. Alignment at Address, Alignment at Impact, Path at Impact, Stroke Path and Rotation, Shaft Angle, Impact Spot, Speed at Impact and Stroke Tempo). From this data, TOMI can instantly tell you what you need to do to dramatically improve your putting. This advanced technology is extremely beneficial to helping fit a putter to your own personal stroke, and it is also useful to improve your putting technique. At the end of the day, what we are trying to accomplish with putting is to return the putter face to square at impact, and hit the sweet spot. This determines our accuracy and helps you have the least amount of putts as possible. If we choose a putter that suits your stroke and your budget, I am sure you will see your putting improve. Best to experiment with all types to find out what suits you best. 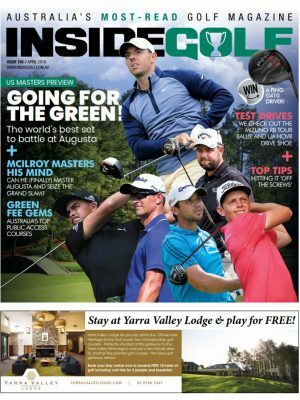 2 Responses to "How to choose the right putter for your stroke"
Brent German is an AAA Accredited PGA Golf Teaching Professional at Albert Park Driving Range in Melbourne. 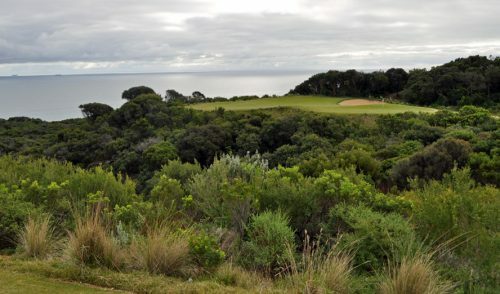 Visit www.BrentGermanGolf.com or call Brent on 0412 533 555 for more information.